Trucks are common and readily available and often have a lower initial cost. 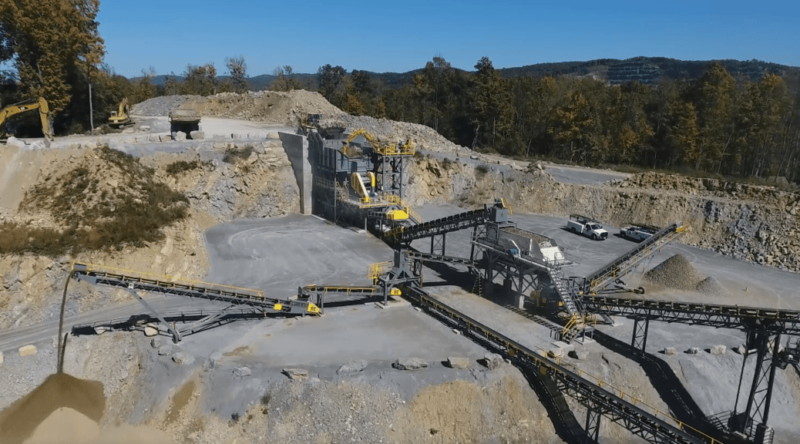 However, they are also dangerous, inefficient, and rely on more direct human labor, which is why conveyors are very often a better choice for surface mining operations. Let’s take a closer look at the reasons why. 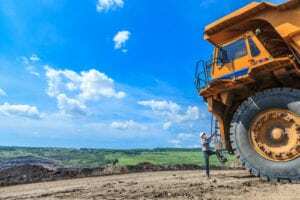 In 2017, about half of all fatal accidents at surface (non-coal) mining sites were vehicle-related, according to the Mine Safety and Health Administration within the United States Department of Labor. The trucks that are utilized in mines are extremely large and weigh several hundred tons. They are much different from your typical over-the-road dump trucks that only weigh in at about 36 tons when fully loaded! For size reference, a worker standing next to one of these trucks looks almost comically out of scale, as he or she is only about half as tall as the truck’s wheels. Consider that these behemoths each require approximately seven dedicated operations and maintenance staff members when running 24/7 (according to mining industry reports). This means that there are many individuals in harm’s way at mining sites that rely on trucks. Conveyors, on the other hand, run continuously with fewer human workers directly accessing them while they are in operation. And, as technology improves, less manual data collection for condition monitoring on working conveyors is necessary, which removes more workers from direct exposure to dangerous conditions. There is little argument about the fact that trucks are inefficient when compared to conveyor systems. Conveyors are known as continuous mining systems, which do not require nearly as many regular time delays in operations that truck-based systems do. With trucks (which are “batch” systems), waiting between stages in material handling from mine to stockpile is par for the course. For example, trucks may be lined up waiting for a crusher to become available, while there may be no trucks being loaded at the extraction point. Moreover, after each load has been delivered to its destination, trucks must return empty to a previous station to reload. This means that trucks are often driving around mine sites empty. As we touched on previously, mining trucks are massive in size, and they use similarly massive amounts of fuel. In addition to built-in downtime required for reloading trips between process stages, trucks also require downtime for refueling. And, don’t forget that trucks are burning fuel even when they are empty during those reloading trips. Typically, modern conveyor systems require about half as many workers as truck-based systems to operate. Computerization, which has included the introduction of remote monitoring sensors on various parts of conveyor machinery, has helped to reduce the necessary workforce to operate machinery. Workers no longer need to manually check as many parts of the system for issues as often. Technology has not yet advanced far enough to make trucks safely self-driving, and so the amount of labor required for truck-based mining systems has not decreased at the same rates. One of the main benefits of utilizing trucks in mining operations is their flexibility. Especially at mines that may not have a long “expected life of the mine,” or LOM, left. In these cases, conveyors may still meet your needs, though they may not entirely replace trucks in your operation. Telescopic conveyors, for instance, are designed to be portable and offer excellent flexibility. If LOM isn’t a concern, conveyors still need material to be at least somewhat size-reduced before they can accept it. This means material needs to be processed through a crusher before it can be loaded onto a conveyor, and that means trucking from the extraction point to the crusher, right? Actually, this is outdated thinking. “In-pit crushing and conveying systems” (often referred to as IPCC systems) have gained popularity around the world and can help create a truly truckless mining operation by moving crushing operations nearer to the extraction point. For example, in hard rock mining operations, an IPCC would include a gyratory crusher to reduce material size immediately following extraction and prior to conveyor loading. Conveyors can take product for miles over land, across water or railways, and onto or off of barges and trains. 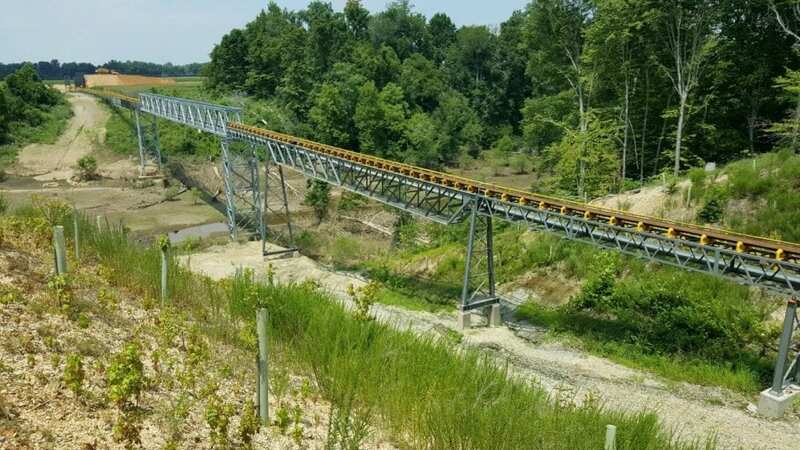 In projects where topography or natural land features are a challenge, conveyor systems can easily be designed and installed to transport material where it needs to go. Are you currently evaluating systems for your mining operation and need help performing cost-benefit analyses for both truck-based systems and conveyor systems? The design/build team here at Kemper Equipment has the expertise you can trust to help you build the right system for your needs – one that maximizes production and reduces your costs. As we discussed in our previous post, customization is your best option for implementing new conveyor systems and equipment in your projects. Get in touch with us today to discuss your project requirements and goals. Our team will show you why conveyors are a great option, and one that’s almost always better than trucks.